The I-Team looked into why one Long Island fire commissioner seemed to be using a taxpayer-funded emergency fire vehicle for his personal commute. Chris Glorioso reports. A Long Island fire commissioner has repeatedly used official vehicles to commute to his private job, even though the workplace is in another county – nearly 30 miles away from the community those vehicles are intended to protect. 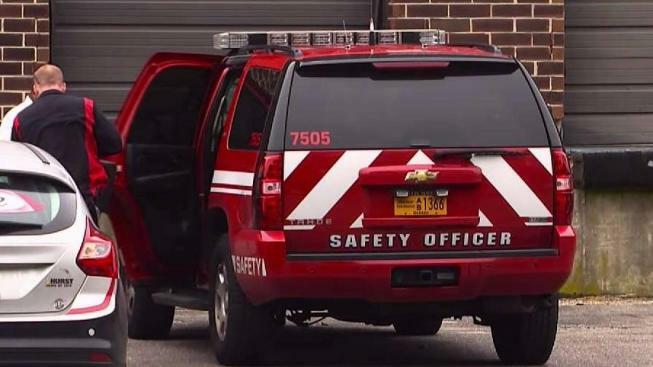 Uniondale Fire Commissioner Noel Thomas told the I-Team he uses the department vehicles –- a pair of SUVs with lights and sirens -– to travel to his Hauppauge employer because he often does business with fire equipment vendors while traveling to and from his workplace. “I use the fire district vehicle to pick up stuff from Suffolk County,” Thomas said. When asked how often he drives the emergency vehicles to Hauppauge, Thomas couldn’t say. “I’m not sure, whenever I have to pick stuff up,” he said. A Uniondale Vehicle Usage Policy dated January 2013 says district vehicles are “solely for the use of Uniondale Fire District business ONLY.” The policy says permission to use a fire vehicle can only be given when the majority of the Board of Fire Commissioners votes to approve a resolution at a regular meeting. The I-Team asked whether there have been any such resolutions authorizing Thomas to take official fire vehicles to Hauppauge. This is not the first time the Uniondale Fire District has struggled to explain its use of taxpayer resources. Five years ago, the I-Team revealed that Thomas used a district credit card to book six convention trips in 12 months, including one Las Vegas trip where he used a district credit card for a cash advance at a casino. He later paid the district back for that advance. A 19-year-old college student who lost his foot when he stepped on a homemade explosive in Central Park is learning to walk again. 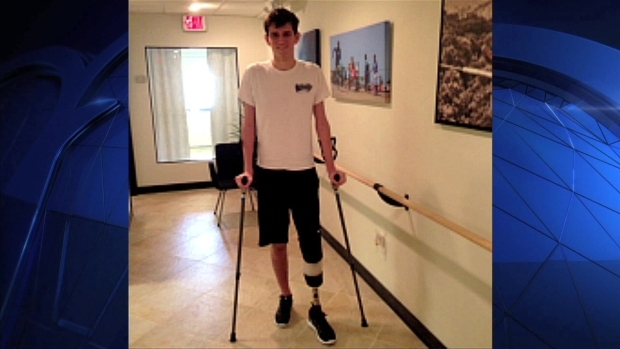 Connor Golden posted a message to his GoFundMe page with a photo of him in his new prosthetic. He thanked his friends, family and people he's never met for their support. He also said he's back at school. At a 2013 meeting of the Uniondale Board of Fire Commissioners, Thomas admitted to the excessive spending, suggesting it was a pattern in the district. “Yes there was excessive spending, but that is just how we did business,” Thomas said. At that same meeting, Peter Fishbein, the fire district attorney said the Nassau County District Attorney had opened an investigation into the fire district's use of taxpayer resources. A spokesperson for the Nassau County district attorney said the office did not find criminal wrongdoing and closed the case. It is not clear if the district attorney's investigation resulted in any policy changes, but one year after the original I-Team report, the Office of the New York State Comptroller released an audit of the Uniondale Fire District. Among other findings, the audit said the district had “more sport utility vehicles than appear to be necessary” and “the Board did not provide oversight over vehicle usage."